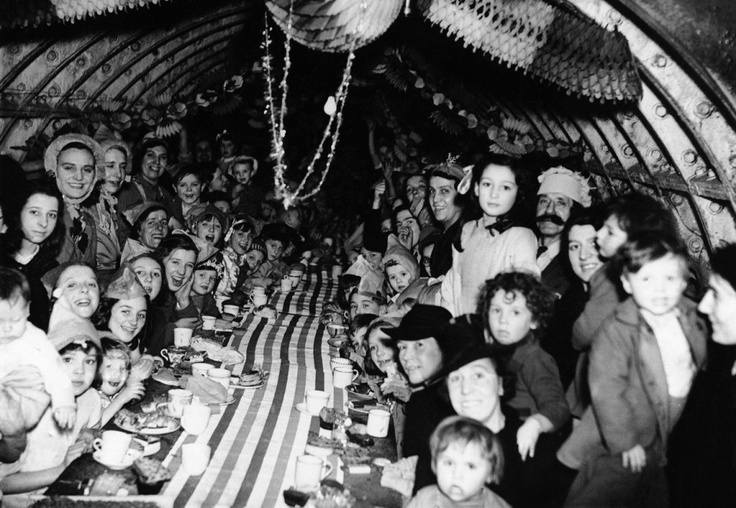 The Blitz Christmas, 25 December 1940. Italian/Greek Campaign: The Greek soldiers pressing against the Italians spend a fairly miserable Christmas on 25 December 1940 in the mountains. About 100 taxis are requisitioned in Salonika (Thessalonica) to bring the troops bottles of liquor and other holiday treats. One of the taxi drivers happens to speak Italian, and the Greeks have him cross the lines with a flag of truce to offer a Christmas break. The Italians accept, and there is no fighting in this location today. However, elsewhere the Greeks do press their attacks in places like the valley of River Devoli, with little success. The Italians raid Corfu for the 23rd time, killing 15 people. They originally intended to invade the island, but times have changed. It is incidents like this, an unnecessary air attack on Christmas day, that make the Greeks absolutely furious at the Italians, even above and beyond the invasion itself. European Air Operations: Operations by both sides are extremely quiet. There are scattered Luftwaffe reconnaissance missions, but no organized attacks. The RAF only makes reconnaissance and patrol flights. A RAF Martlet I (formerly French) with No. 84 Squadron shoots down a Junkers Ju 88A on a reconnaissance flight over Scapa Flow. It force-lands at Sandwick. Martlets are slightly modified Grumman Model G-36As aka F4F Wildcats, so this is the first confirmed downing of a German aircraft by an American plane during World War II. 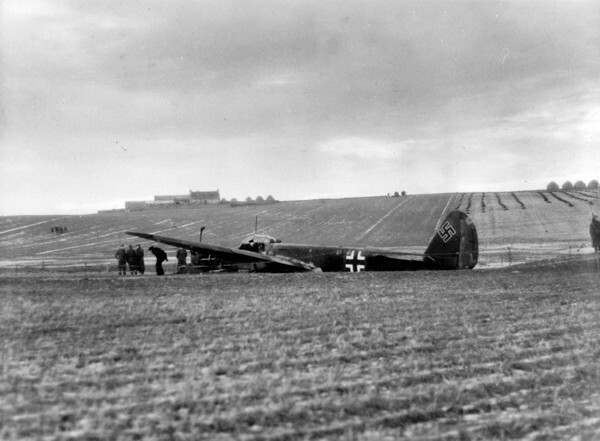 The German Junkers JU88 shot down by a Martlet in Sandwick on 25 December 1940 while on a reconnaissance mission. (Orkney Library and Archive). Battle of the Atlantic: Admiral Hipper. having spotted a huge and heavily escorted "Winston Special" convoy (WS 5A) late on the 24th about 1300 km west of Cape Finisterre, attacks at 08:08. Going into action with guns blazing against what it thinks is an ordinary convoy, it damages 13,994 ton British transport Empire Trooper (which makes it to Porta Delgada) and 5874 ton British freighter Arabistan (only lightly damaged), causing the convoy to scatter. However, Admiral Hipper's crew get a rude surprise when heavy cruiser HMS Berwick appears - whose own crew must have been stunned to see a heavy cruiser appear out of nowhere, main guns afire, attacking a convoy escorted by three cruisers, two aircraft carriers and numerous destroyers and corvettes. Admiral Hipper beats a hasty retreat, but as it goes it scores several hits on the Berwick (four killed, one injured), disabling several of its main guns. This is the kind of audacious attack out of the blue in the most unexpected of circumstances that gives sailors nightmares. Amazingly, Admiral Hipper then manages to slip away virtually unscathed toward Brest, its original destination. It is one of the greatest escapes by a surface ship of the war. Fortunately for the Hipper, visibility is poor and the Skuas launched by HMS Furious can't locate it. One of the Royal Navy ships of Force H sent from Gibraltar to intercept Hipper, HMS Renown, sustains hull damage in the rough winter seas and thus also can't find it. Hipper gets a bonus when 150 miles to the east it stumbles upon independent 6804 ton British sailing freighter Jumna on the way to Brest and sinks it (taking Rear Admiral HB Maltby Rtd) in passing. Hipper, knowing it is being chased, does not stop to pick up the 111 men in the water. They all drown. In this way, the Royal Navy, which has been searching frantically throughout the North and South Atlantic for Admiral Hipper for weeks, finally gets its wish and locates the German cruiser. Admiral Hipper becomes the first big Kriegsmarine ship to reach the French Biscay ports. It is a very embarrassing day for the Royal Navy despite the paucity of losses and not one that the histories of the war spend a lot of time on. Much further to the south, heavy cruiser Admiral Scheer rendezvouses somewhere in the South Atlantic with raider Thor, supply ship Nordmark, and "floating delicatessen" refrigerated ship Duquesa. It is fair to surmise that the sailors on the three German ships enjoy a hearty Christmas meal from the Duquesa's large stock of fresh meat and eggs. Convoys FS 370 and FS 371 depart from Methil, Convoy BS 11A departs from Suez. 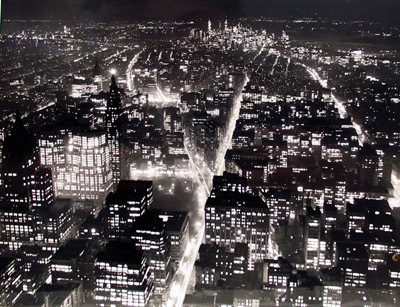 New York City, looking downtown from the Empire State Building, 1940 (Andre Kertesz). Battle of the Mediterranean: General Wavell issues a limp Order of the Day wishing everyone a Merry Christmas (as does Governor Dobbie on Malta and other commanders), but the forward troops are poorly provisioned and communications into Libya are stretched. There aren't enough trucks to bring the men turkeys, but every man at least is given a tin of bully-beef and a double rum ration. British morale is at a high due to recent victories, making such inconveniences seem trivial. The perimeter at Bardia is quiet, as the Italians and British celebrate Christmas separately. As on other fronts, there is a tacit cease-fire for the day that is not ended until after dark. There aren't any meetings as during World War I, but nobody wants to get in a firefight and die on Christmas. On Malta, Governor Dobbie visits the troops throughout the island. Officers serve Christmas Dinner to other ranks, a first for the British Army. This begins a tradition which survives today. Spy Stuff: There are many rumors arguments about exactly when, and whether, Stalin received a copy of Fuhrer Directive No. 21 of 18 December 1940 regarding Operation Barbarossa. This is the Directive that spells out Hitler's intention to invade the Soviet Union at some point on or after 15 May 1941. By some accounts, today the Soviet Attaché in Berlin sends a copy to Stalin. German Government: Hitler continues his meandering tour of troops and fortifications along the French coast. His train takes him to Beauvais, where he meets with French Admiral Jean-Francois Darlan. Hitler then visits KG 26 ("Löwengeschwader"), which at this time is one of the only formations using the SC 2500 bomb, a special 2400 kg bomb filled with a 40/60 Amatol mixture of RDZ, TNT and aluminum. Having visited JG 26 on the 24th, Hitler apparently does not want to be seen as slighting the bomber pilots, who at this point are the ones taking the war to the British. Hitler then visits Cretz and then Metz. After that, once again he spends the night in his train, this time parked in a tunnel near Metz. Hitler's meeting with Darlan reveals his underlying frustration with Petain and the other European rulers who refuse to ally themselves with him. Coming close to one of his angry rants that only his insiders are privy to, Hitler warns Darlan that if France doesn't cooperate militarily, it would be "one of the most regrettable decisions in her history." For his part, Darlan is able to offer everything but military cooperation. Darlan is one of those equivocal figures throughout the conflict who both sides want to use. However, he only manages to anger just about everybody, a strange case of playing the middle against both sides (to reverse the common expression). 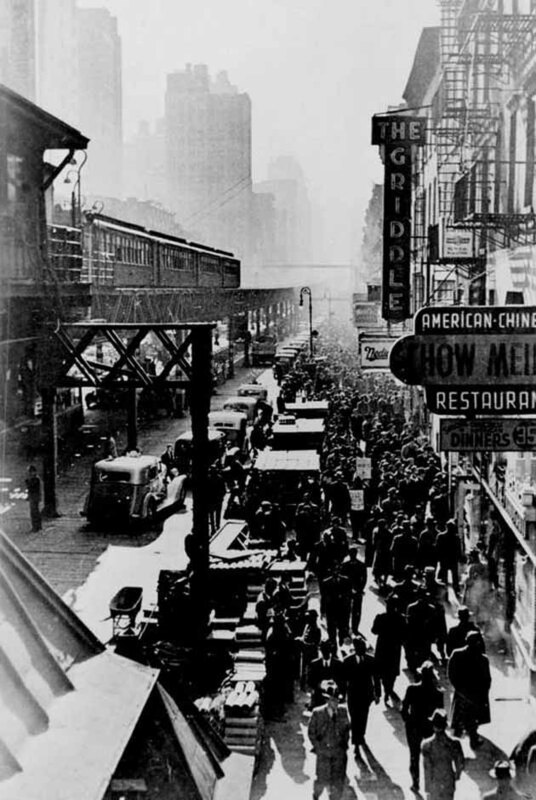 The 6th Avenue El in 1940. Not only is the El long gone, but 6th Avenue later had its name officially changed to Avenue of the Americas (but everybody still calls it 6th Avenue anyway). Ireland: Irish Premier Eamon de Valera requests US aid from President Roosevelt. Ireland may not be at war, but it suffers from the German blockade and certainly gets no sympathies from the British. Antarctic: Ernest Earl Lockhart and his comrades enjoy a quick toast on their travels across the continent as part of the overall expeditions of Admiral Byrd. They (and their dogs) make the Little America III base after a long journey, the final sprint having covered 34 miles in less than 16 hours across the ice, including stops. Incidentally, this is the expedition using the notorious giant red Snow Cruiser, which on this date is sitting in an ice cave specially carved out for it near the base. 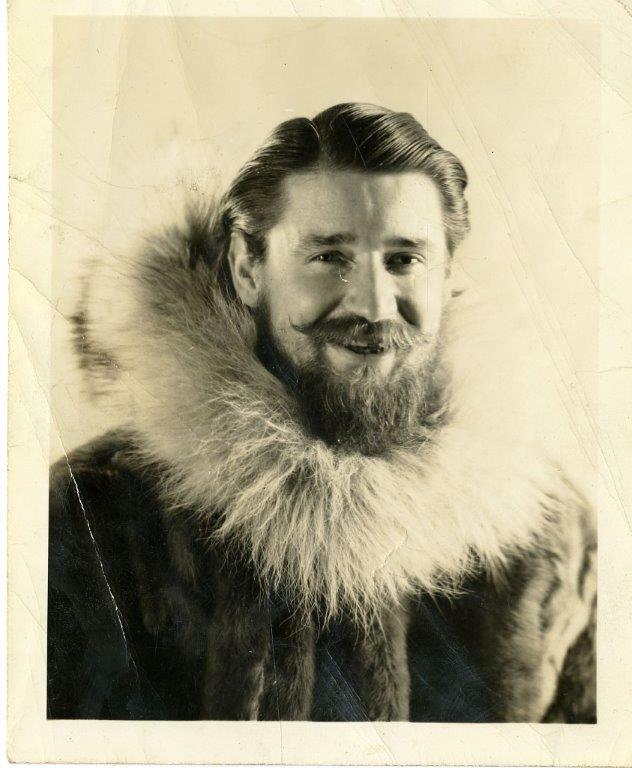 Antarctic explorer Ernest Earl Lockhart. British Homefront: King George VI makes a Christmas broadcast after he and the Queen visit children in shelters, declaring that "The future will be hard, but our feet are planted on the path of victory...." There is no absolutely question that this is the worst Christmas of the war for the British. American Homefront: "Pal Joey," the new Rodgers and Hart musical, opens at the Ethel Barrymore Theatre on Broadway. President Roosevelt and wife Eleanor attend Christmas mass at First Congregational Church. Subsequently, they host a Christmas party. 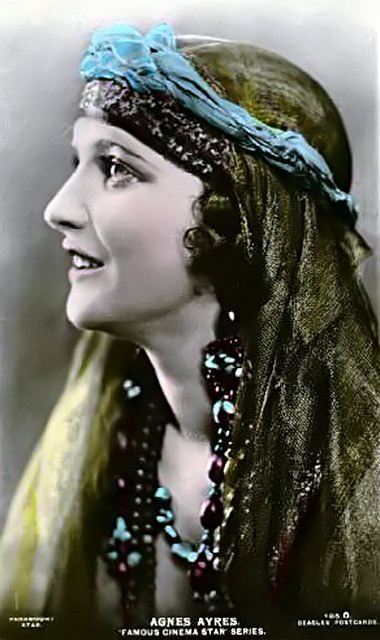 Agnes Ayres, a silent film star who appeared with Rudolph Valentino in "The Sheik," dies of a cerebral hemorrhage at age 42. She had become despondent after her retirement (and losing her life savings the same year in the 1929 stock market crash) and had been committed to a sanatorium. However, she is at home when she passes. Agnes Ayres is interred in the Hollywood Forever Cemetery. She has a star on the Hollywood Walk of Fame at 6504 Hollywood Boulevard.